Background: Only 9% of the patients with psoriasis are satisfied with sexual function, whereas 43% perceive it as insufficient. The etiology of erectile dysfunction (ED) in male patients with psoriasis is likely to be multifactorial. The psychological problems associated with psoriasis highly contribute to ED in patients with psoriasis. Moreover, an increased prevalence of the core components of the metabolic syndrome, including obesity, dyslipidemia, and glucose intolerance, contributes to the ED seen in patients with psoriasis. Aim: To clarify the effect of psoriasis on male sexual function. 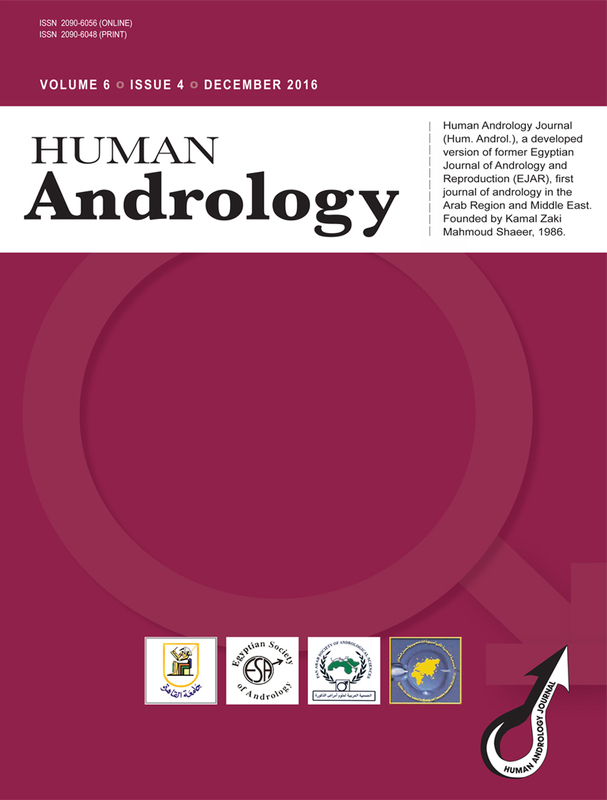 Patients and methods: This study was conducted on 62 married male individuals aged between 20 and 40 years. They were allocated into two equal groups: 31 male patients with psoriasis in group I, and 31 male apparently healthy controls in group II. All patients were evaluated by the International Index of Erectile Function (IIEF-5). However, only 10 patients with psoriasis accepted to undergo penile duplex ultrasonography, and it was conducted in 10 healthy controls as well. Results: There was a highly significant increase in the prevalence of ED in patients with psoriasis over the control group. There was a highly significant decrease in the values of the IIEF-5 among patients with psoriasis, which was less than the values of the control group. Moreover, there was a highly significant correlation between psoriasis area and severity index scores with the IIEF-5 scores and a significant difference in the results of penile duplex ultrasound among the two studied groups.